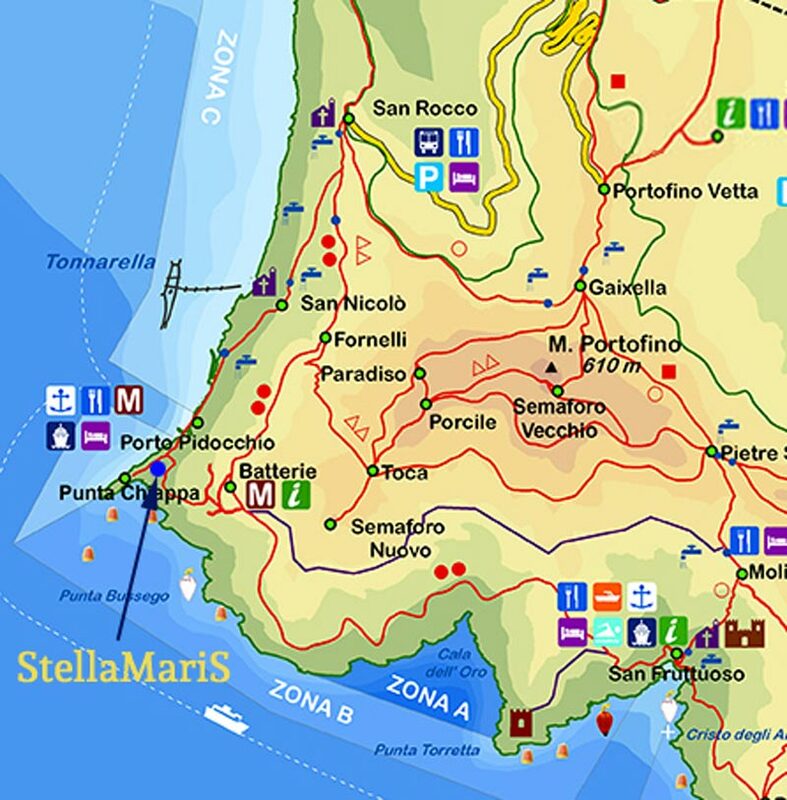 Stella Maris is located at Punta Chiappa near Camogli, on the far edge of Portofino mount, 50 meters above the sea, overlooking golfo Paradiso. 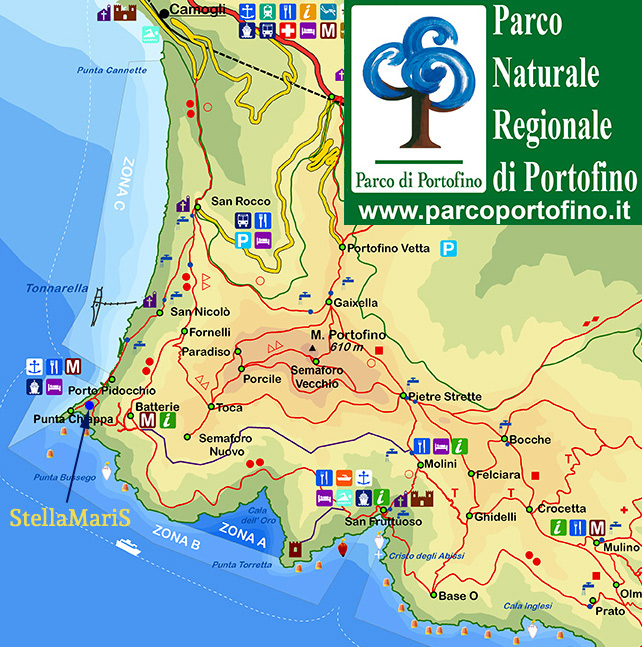 DatDue to the nature of our location, the nearest point to leave your car is the Car Park of San Rocco, a village above Camogli, from which a path will lead you to Stella Maris. We would like to warn our kind customers that we are speaking about a 30 minutes walk.